Max Diameter 3" Overall Length 94"
Split-Fire manufactures a line of self-feeding wood chippers designed for continuous heavy duty use. Built to last, they pull in untrimmed branches, green leaves and stringy wood to produce consistent 1/2 to 3/4 inch wood chips. The low parts count, heavy duty clutch, dual belt system and powder coated finish reduces maintenance issues as these machines do not require annual overhauls. Equipped with a heavy duty torsion axel rated for 1400lbs, they can be towed on and off-road. Their compact design allows them to easily access confined areas. The anti-plugging design has made Split-Fire wood chippers the most reliable and safest machines on the market. 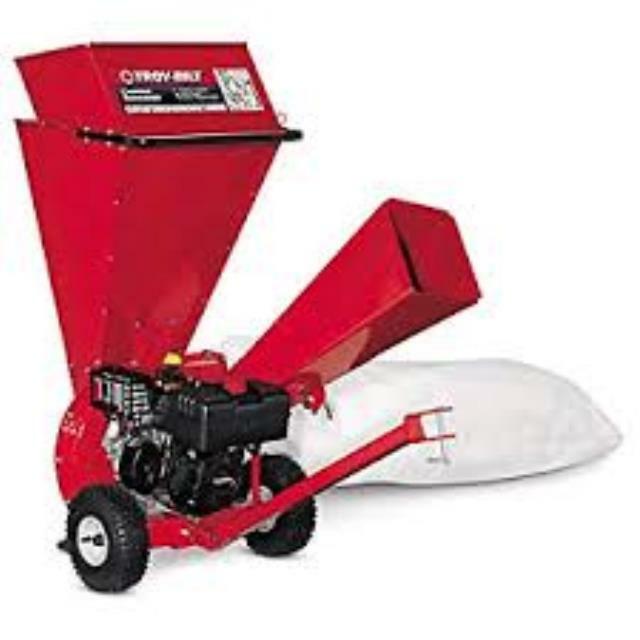 The self-propelled chippers are powered by GX Series Honda Engines. * Please call us with any questions about our chipper brush 3 inch diameter rentals in Duluth MN and Superior WI, serving Proctor MN, Hermantown MN, Northern Minnesota and Northern Wisconsin.